Read all about it, a Reef Tools Exclusive. If you’re either using, or thinking of using, bio-pellets, Reef Dynamics has just changed the playing field. 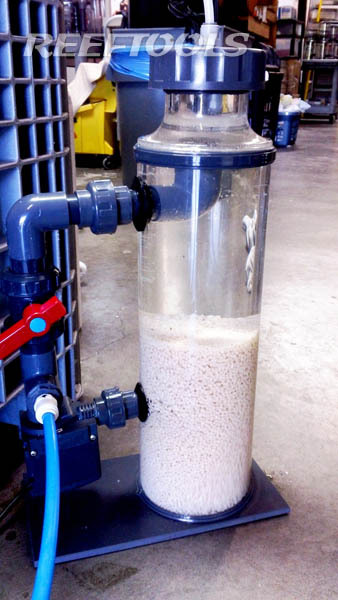 The new Reef Dynamics BPR500 Bio-Pellet reactor now takes using bio-pellets to a whole new level. 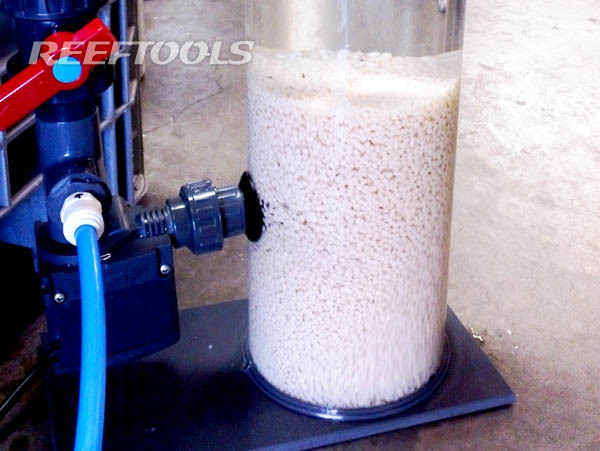 Traditional bio-pellet reactors function by using a feed pump to tumble the bio-pellets, and a valve to control flow through the reactor. The inherent problem with this design, is that it does not allow you to control flow INDEPENDENTLY of the amount of tumbling. Meaning, if you want the media to tumble more, you’ll need to increase the flow through the reactor, and vice versa. The all new Reef Dynamics line of Bio-Pellet reactors applies the same approach of a recirculating protein skimmers to bio-pellet reactors. 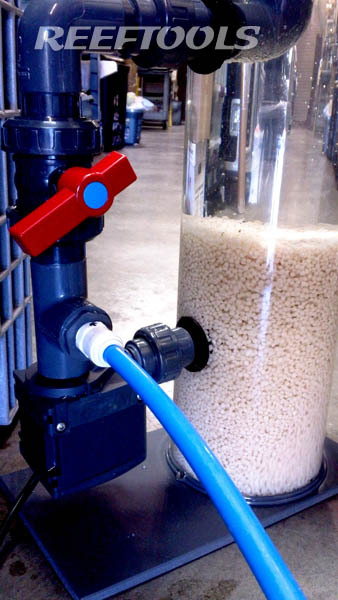 This new line of bio-pellet reactors uses one pump to both circulate the water inside of the reactor suspending the pellets and feed the reactor at the same time. A completely separate valve controls the flow through the reactor. This allows you to increase or decrease the flow through the reactor, without dramatically impacting the tumble rate. Check out the photos of the Reef Dynamics BPR500 to get some more information about the design. The new line of reactors will be available online starting tomorrow. Limited availability, pre-order now, estimated shipping 1/9/2012. Please contact Reef Dynamics now..
im going to convert a cal reactor to do this. do you think im crazy? it can be done, make sure you measure twice, cut once. Very cool design! I like how it does not involve the use of any sponges that can clog – simplicity and efficiency at its best. Way to go.